Tablet form factor has been recognized as most suitable size for many tasks, there is now a need for tablets those are tougher than other consumer based tablet. Since many of those tasks are outdoors where it gets wet, hot, or cold and where devices get dropped or rattled. 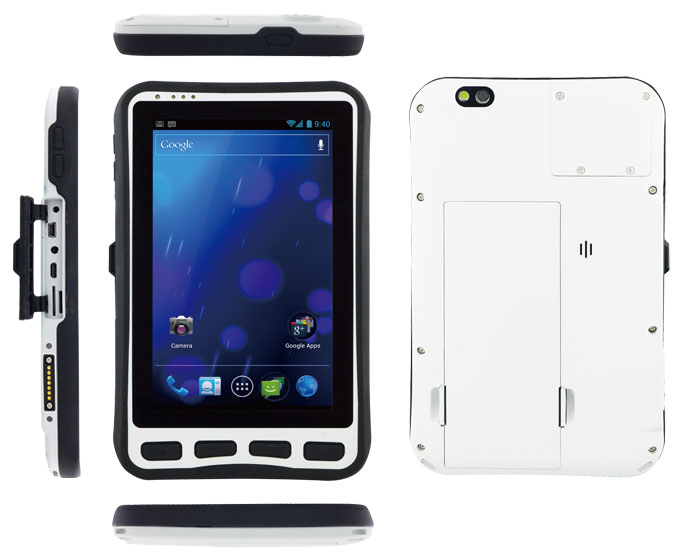 That is where Winmate come in and introduce our M700DT4, 7-inch Android 4.1 tablet. 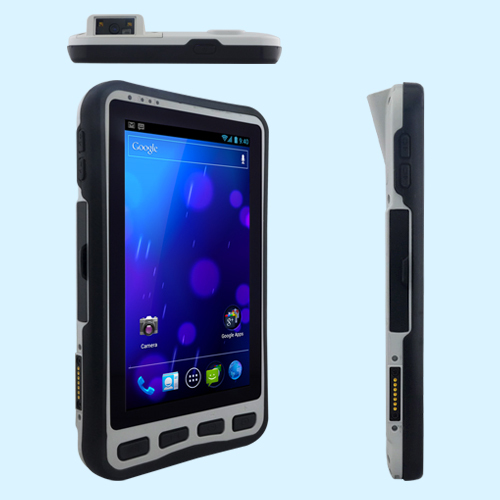 M700DT4 is powered by a 1.0GHz Texas Instrument OMAP 4430 and also run Android 4.1, this device is looks sharp on a 7-inch screen. 1024 x 600 pixel resolution and 500 nit backlight will make this device perfectly fits for outdoor use. Projected capacitive touch likes a smooth glass surface that extends well beyond the display itself and the M700DT4 has that, so it should be pleasant to operate. 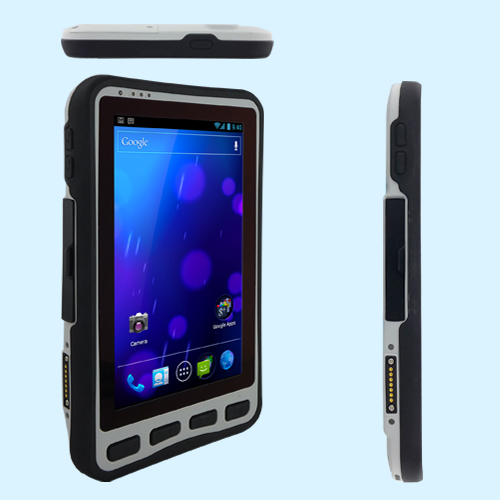 Winmate M700DT4 measures 212.4 x 132.8 mm and 19 mm thick, which is a bit thinner than other rugged tablets in this class. With 550 grams, our Android version of this device weighs a few grams less than the windows version, making it a small, slim and fairly light tablet. G-sensors as well as a 5 MP rear facing autofocus camera with LED auxiliary light. In the power department, the 3.7V 5300mAh Li Poly rechargeable battery appears adequate for this android tablet for 6 to 8 hours battery life. M700DT4 battery is user-replaceable on the back of the device. The bar-code scanner available as an option for M700DT4, it uses the EA30 high performance motion tolerant 2D imager from Intermec. That scan engine features white LED illumination, a red laser aimer optimized for all lighting conditions and it is capable of reading all common 1D or 2D barcodes(QR Code / Data Matrix / PDF417 / Maxicode / Aztec). 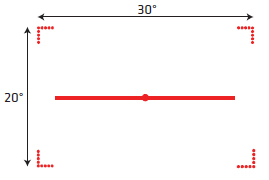 Laser framing is useful when the surrounding light is so bright that is obscures the lighting from the EA30. Through our M700DT4 the scan engine comes in compact size that attached on the top right of the devices.